(i) For lateral admission into 2nd year regular B.E. and B.Tech Courses in All India Council for Technical Education approved Un-Aided Private Professional institutions (Minority & non-Minority) and University Engineering Colleges for the seats specifically earmarked for Diploma holders and B.Sc degree holders for the academic year 2019-2020. (ii) For lateral admission into 2nd year regular B.Pharmacy Courses in Un-Aided Private Professional institutions (Minority & non-Minority) and University Pharmacy Colleges approved by Pharmacy Council of India for the seats specifically earmarked for Diploma holders and B.Sc degree holders for the academic year 2019-2020. AP ECET 2019 Results: JNT University Anantapur issued the Andhra Pradesh ICET 2019 notification on 11March, 2019 and the University invited online applications from the eligible candidates from .15-03-2019 through online mode at its web portal apecet.org. Online application process has been completed. The Students who were applied for this stream, they were attended this entrance exam which was held on .../05/2019. Now they are waiting for their results. The results of the AP ECET 2019 examination, would be released on ..-05-2019. 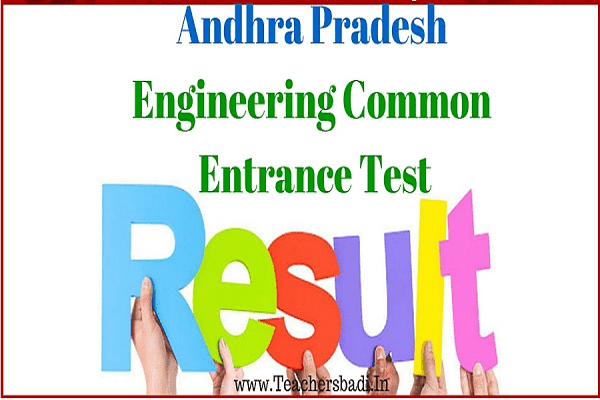 The Andhra Pradesh Engineering Common Entrance Test (AP ECET) 2019 results to be out. JNTU Anantapur had conducted the exam on May .., 2019. AP ECET is conducted for admission in second year level into B.E, B.Tech, and B.Pharmacy programmes offered in Universities across Andhra Pradesh. Step 6: Check an save the result.